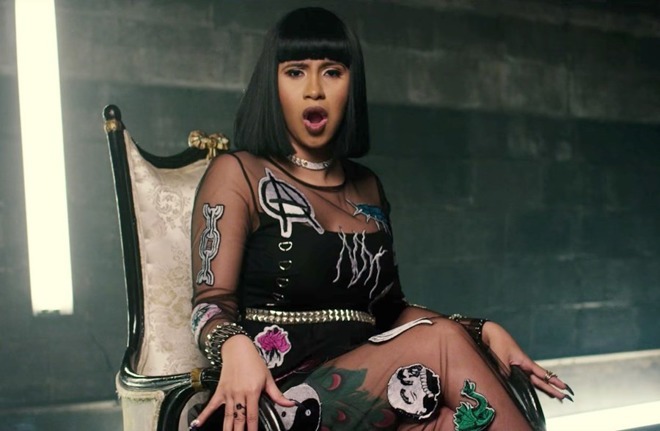 Rapper Cardi B's first full-length release, "Invasion of Privacy," reached over 100 million streams in its first week on Apple Music —more than doubling the record for a female artist on the service, previously set by Taylor Swift's "Reputation." "Invasion of Privacy" in fact managed to double "Reputation" figures by the middle of the week, according to official Apple numbers shared with The Verge. The album is now the fifth most-streamed title on Apple Music, surpassing even artists like Ed Sheeran and The Weeknd. The achievement is particularly impressive in light of Apple's subscriber base. The company has north of 40 million paid listeners since launch on June 30, 2015, but that's still far less than Spotify's 159 million total active users it has accumulated since 2008, of which some 71 million are Premium customers. Cardi B's numbers may be partially attributable to a general rap, hip-hop, and R&B focus of Apple Music. The Drake album "More Life," for example, initially saw 33 million more streams on Apple Music versus Spotify. Apple recently claimed that it smashed Spotify's numbers in the recent premiere of new music by The Weeknd. The latter company challenged this assertion with numbers that exceeded what the record label claimed, saying it had topped Apple's 26 million streams in 24 hours by another 3 million —excluding two Spotify-exclusive music videos. Apple Music could be poised to overtake Spotify in the U.S. in 2018 for paid subscribers, depending on whether growth rates earlier this year hold steady. The former does enjoy integration into every Apple device —and is the only service natively supported on the HomePod —but Spotify had a years-long headstart, and is not only platform-agnostic but integrated into smartspeakers by Amazon and Google.